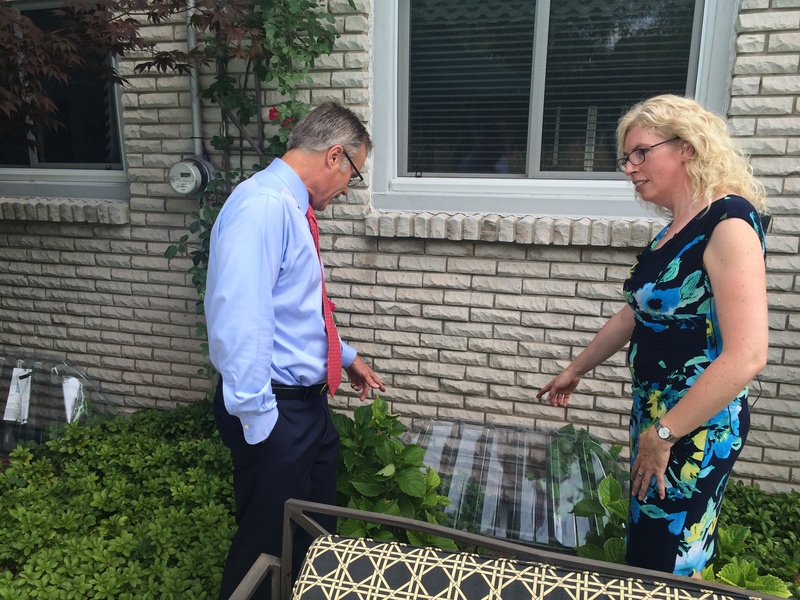 Burlington Mayor Goldring and Cheryl Evans, Director of the Home Flood Protection Program, point to a window well cover. Image courtesy of Lisa Hepfner, CHCH News. Spring is around the corner. You can sense the anticipation and see an extra bounce in everyone’s step, especially on a sunny, warm day. Spring also brings fond memories of children happily splashing in puddles. As the popular saying goes, “April showers bring May flowers.” Unfortunately today our rain often falls in more intense storms rather than light rain which can cause flooding and property damage. Fortunately there are steps that homeowners can take to reduce their risk of flooding. 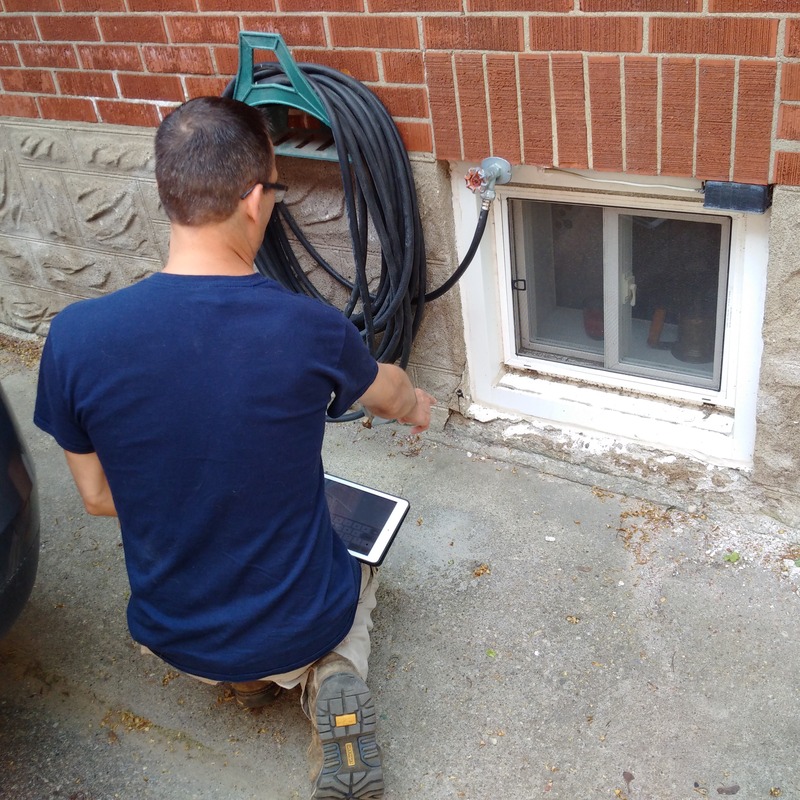 Sign up for a Home Flood Protection Assessment online at www.homefloodprotect.ca or by calling 1-877-876-9235 to schedule an appointment. 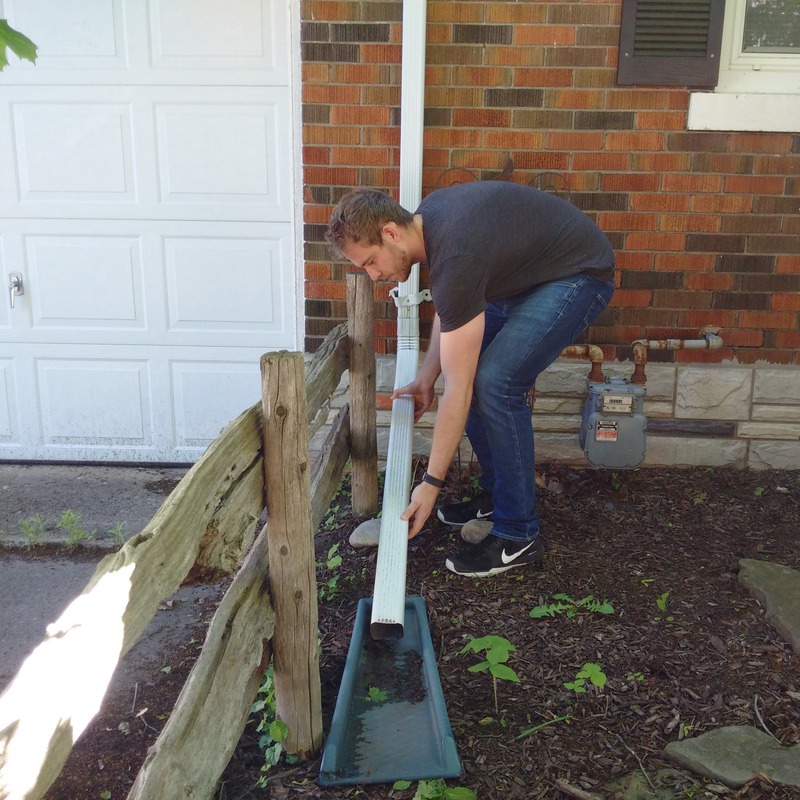 Extending a downspout away from the foundation is a common tip provided to homeowners. Seasonal maintenance reminders providing additional support as you work to protect your home from flooding. An assessor points to a crack in the foundation in need of repair. Who can register for this program? Owners of single-detached, semi-detached and townhomes. FREE if you’re one of the first 100 residents to sign up. After that, the fee is $95. Take Action Burlington! Collectively we can and have to adapt to climate change.